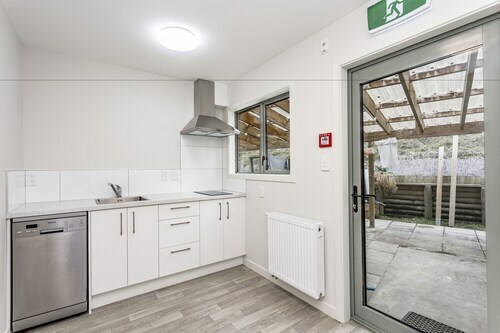 Located in Dunedin City Centre, this eco-friendly motel is within a 10-minute walk of Otago Museum and University of Otago. The Octagon and Forsyth Barr Stadium are also within 1 mi (2 km). Dunedin Railway Station is 19 minutes by foot. 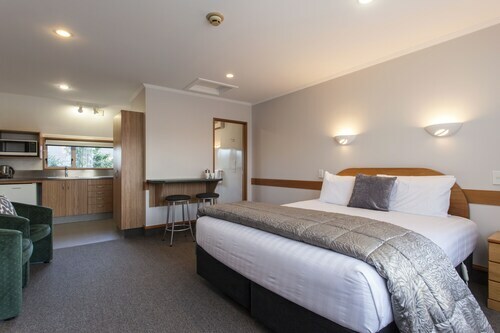 Located in Dunedin City Centre, this motel is within a 10-minute walk of Dunedin Casino and The Octagon. University of Otago and Forsyth Barr Stadium are also within 2 mi (3 km). Dunedin Railway Station is 13 minutes by foot. 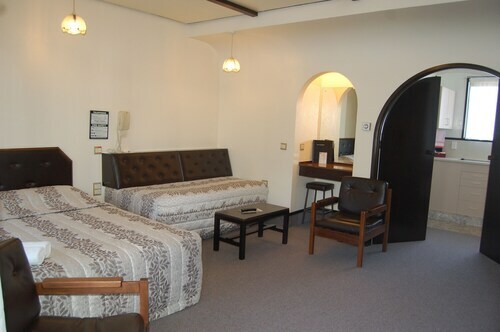 Situated in Dunedin, this golf motel is within 3 mi (5 km) of Speight's Brewery, The Octagon, and University of Otago. Forsyth Barr Stadium is 2.8 mi (4.6 km) away. 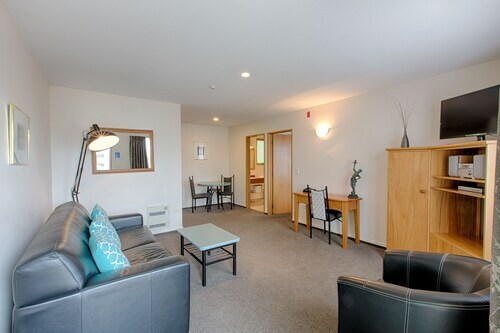 Situated by the sea, this apartment building is within a 10-minute walk of Otago Museum and University of Otago. The Octagon and Forsyth Barr Stadium are also within 1 mi (2 km). Dunedin Railway Station is 24 minutes by foot. 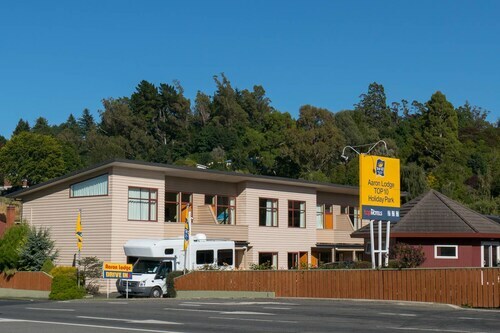 Situated in Dunedin, this motel is within a 10-minute walk of Otago Museum and University of Otago. The Octagon and Forsyth Barr Stadium are also within 1 mi (2 km). Dunedin Railway Station is 23 minutes by foot. 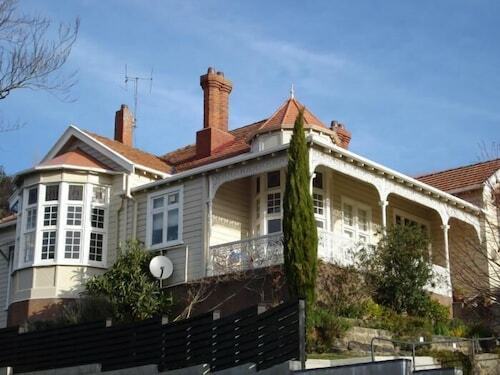 Located in Dunedin City Centre, this bed & breakfast is within 1 mi (2 km) of Dunedin Casino and The Octagon. University of Otago and Forsyth Barr Stadium are also within 3 mi (5 km). Dunedin Railway Station is 20 minutes by foot. 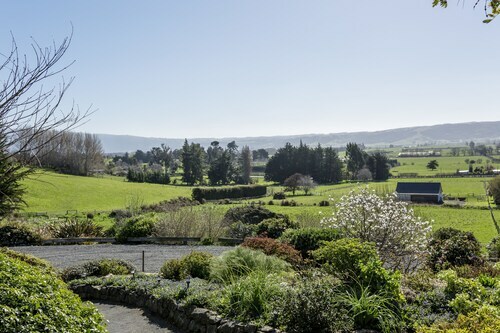 Located in South Dunedin, this bed & breakfast is 1.2 mi (2 km) from St. Clair Golf Club and 2.4 mi (3.9 km) from The Octagon. St. Clair Beach and Edgar Centre are also within 3 mi (5 km). Situated in a rural location, this bed & breakfast is within 9 mi (15 km) of Brighton Beach, St. Clair Golf Club, and Tunnel Beach. The Octagon and Otago Peninsula are also within 12 mi (20 km). 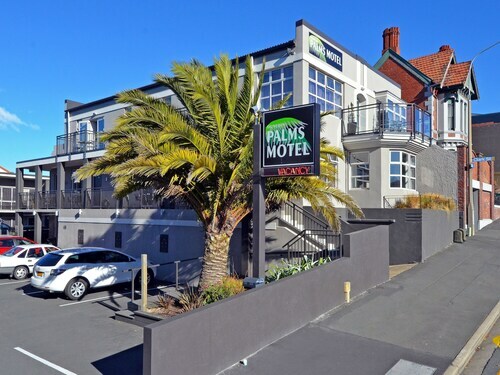 Located in the heart of Dunedin, this motel is within a 10-minute walk of Otago Museum and University of Otago. The Octagon and Forsyth Barr Stadium are also within 1 mi (2 km). Dunedin Railway Station is 21 minutes by foot. 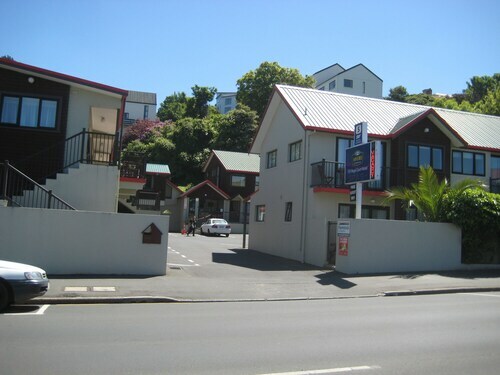 Located in Dunedin City Centre, this motel is within a 10-minute walk of Otago Museum and University of Otago. The Octagon and Forsyth Barr Stadium are also within 1 mi (2 km). Dunedin Railway Station is 17 minutes by foot. 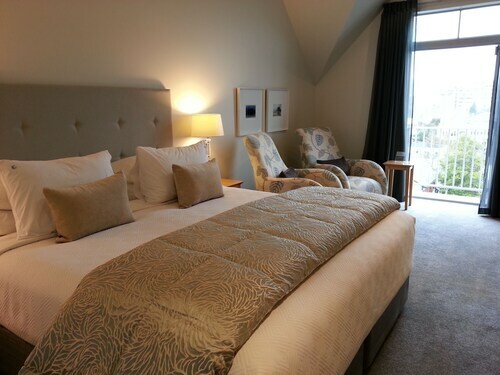 Located in St. Clair, this hotel is 0.3 mi (0.4 km) from St. Clair Beach and 2.7 mi (4.4 km) from Otago Peninsula. St. Clair Golf Club and Edgar Centre are also within 3 mi (5 km). 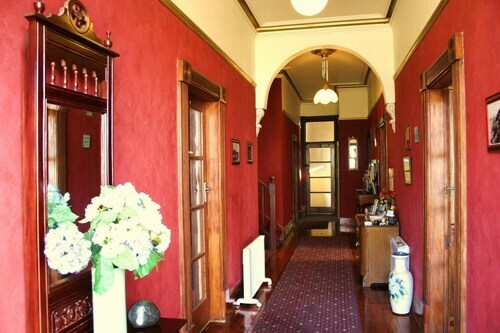 Situated in Mosgiel, this bed & breakfast is within 9 mi (15 km) of Otago Golf Club, The Octagon, and Pineapple Track. Fortune Theatre and St. Paul's Cathedral are also within 9 mi (15 km). Are you looking for a break from the hustle and bustle of your day-to-day life? Do you want to escape reality and forget about your never ending to-do list? Then why not treat yourself to a relaxing stay at one of the spa hotels in Dunedin? 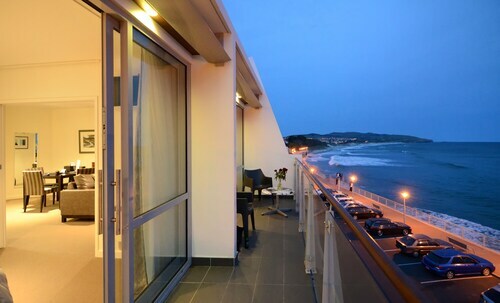 Whether it is for a weekend getaway or a staycation, book your visit to one of the Dunedin luxury spa hotels. With all of the amazing things to do around Dunedin, you will likely be worn out from sightseeing. 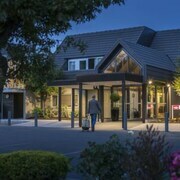 The Dunedin spa hotels provide top of the line facilities with hot-tubs, saunas and private treatment rooms. Treat yourself to an indulgent hot stone massage or facial to rejuvenate from a busy day. If that's not enough for you, indulge in a full day-at-the-spa package. And maybe you are just looking to reach maximum relaxation before a fancy night out on the town. Take advantage of the salon features offered at most Dunedin spa hotels and get a mani-pedi before your evening begins. Travelocity wants to help you relax and rejuvenate during your next stay in Dunedin, but we know that spa treatments can put some strain on your wallet. Bundle your hotel and flight together and save enough to pay for your facial! Loved the location, the guest lounge and the gym facilities. The staff were very friendly and helpful.